Still not sure which Honda vehicle is right for you? That makes perfect sense to us! The only way to be sure that you’re making the right choice is by getting your hands on the wheel during a test drive. Is the Pilot or the Odyssey a better fit for my family? Does the Accord Hybrid drive similar to the gasoline-powered Accord? Is the Civic Sedan or the Civic Hatchback better suited to my daily commute? The answer to each of these questions is that you simply won’t know for sure until you drive them! 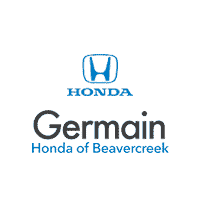 At Germain Honda of Beavercreek, we’re happy to give you all the time you need to test drive vehicles in order to make sure you find the right fit for your lifestyle and personal needs. On your test drive, our knowledgeable sales consultants will provide insights and benefits of each model that you simply can’t find online. Just complete the short form below and we’ll schedule a time that’s convenient for you.